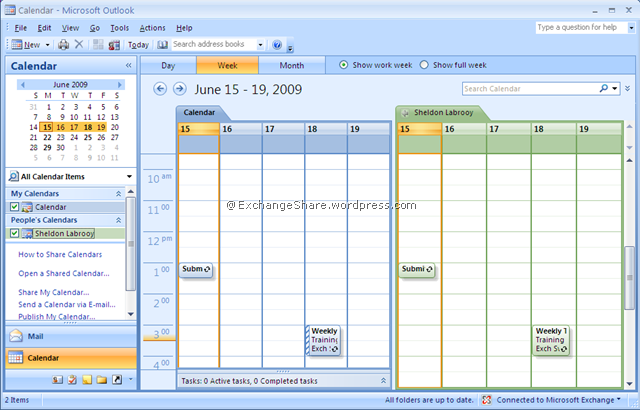 Let’s take an example, Sheldon Labrooy shared his calendar with me (Amit Tank) and I got a sharing invitation. I can open his calendar by clicking on “Open this Calendar” button on top of the mail or with help of “Open a Shared Calendar”. But there isn’t any option to open Sheldon Labrooy’s calendar in OWA. I got an error that you don’t have permission to open this mailbox. Pretty clear, he has shared only Calendar folder of his mailbox but not Full Mailbox. When we try to open somebody else’s mailbox in OWA, OWA main web page has all modules (Mailbox, Calendar, Tasks, Notes, other options etc) listed and Exchange tries to check full mailbox permission which we don’t have and get permission error. Hummm, to open other’s mailbox in OWA we need to have explicit “Full Mailbox” permission on that mailbox, very well explained in below article. When user or admin shares a calendar, it gives “Reviewer” MAPI Folder permission on just Calendar folder. 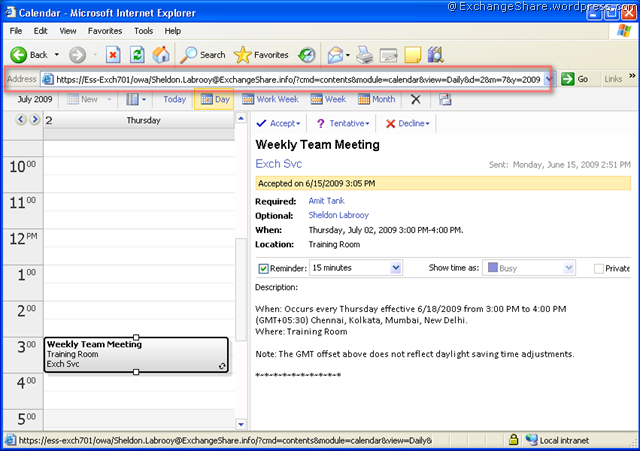 So how do we open shared mailbox in OWA, what’s the hack? « Exchange Update Rollup Installation. It is not Nightmare!!! 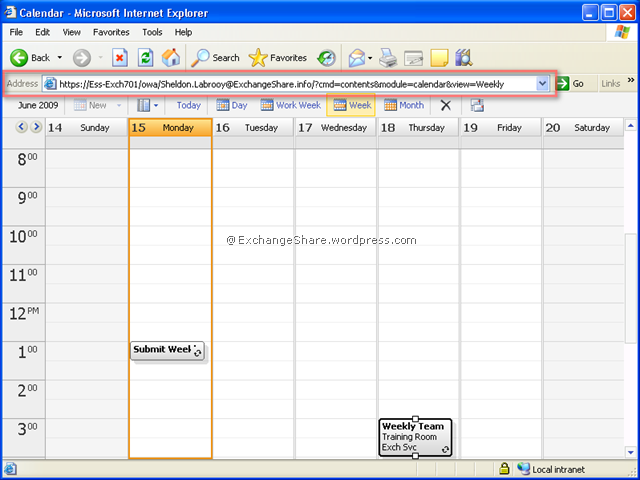 Thanks for such a beautiful post ( explain in very simple way) , as it solve my calender sharing issue in OWA. Once again thnx a ton. Really Appreciate. How would I use this to access a shared calendar that isn’t the default calendar. I have one called ‘Shared Calendar’. I can’t seem to get access to this one. thanks. Thank you for a well-written explanation of this issue. It is truly a shame that Microsoft cannot figure out how to integrate this capability into the existing version of OWA. 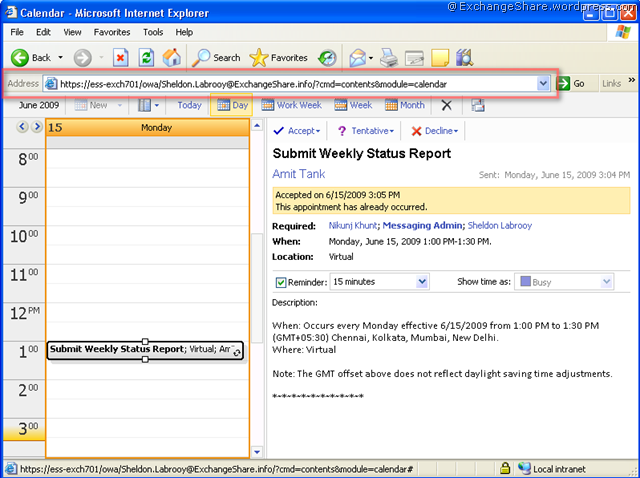 You should be able to do this through the web interface, just like you can via the Outlook client. great post! any idea what to specify in the link to use the “Light” mode, so the one that can open on FireFox? Awesome post. This will be a huge help at work. Thanks a million! !